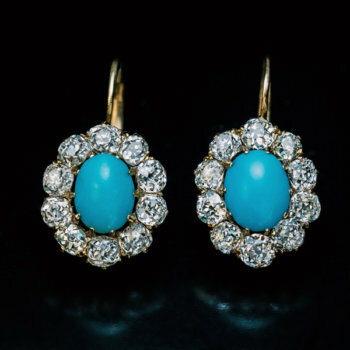 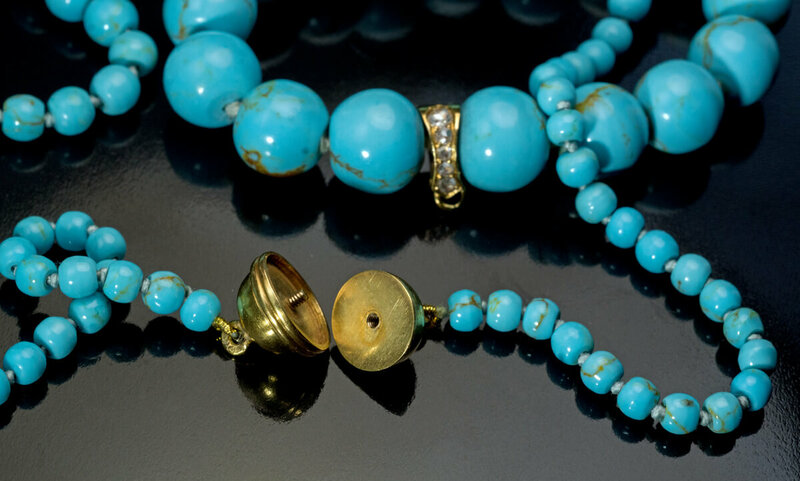 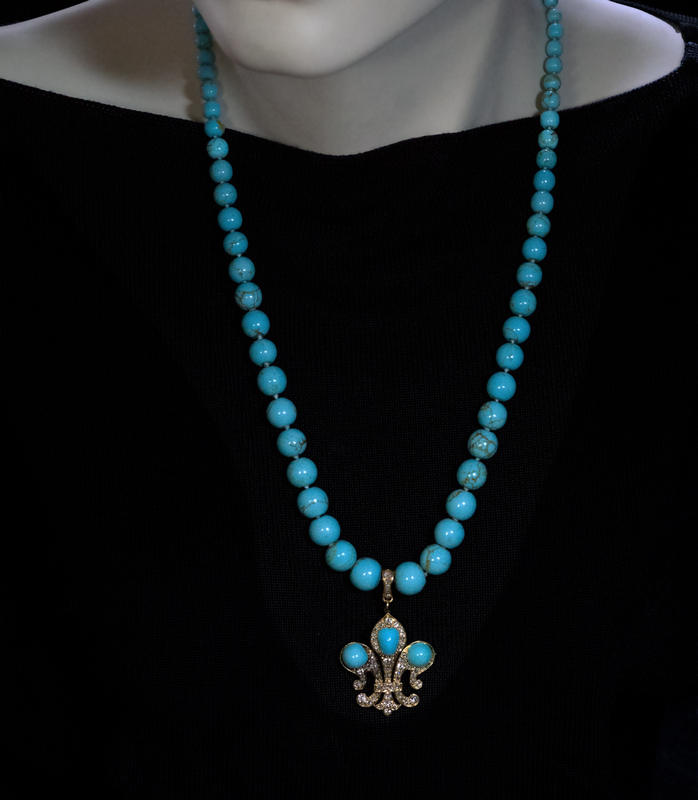 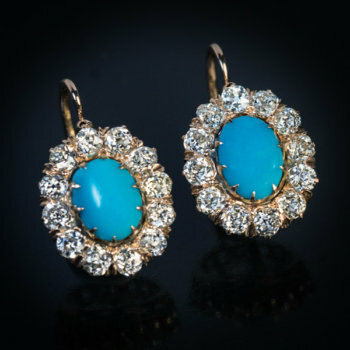 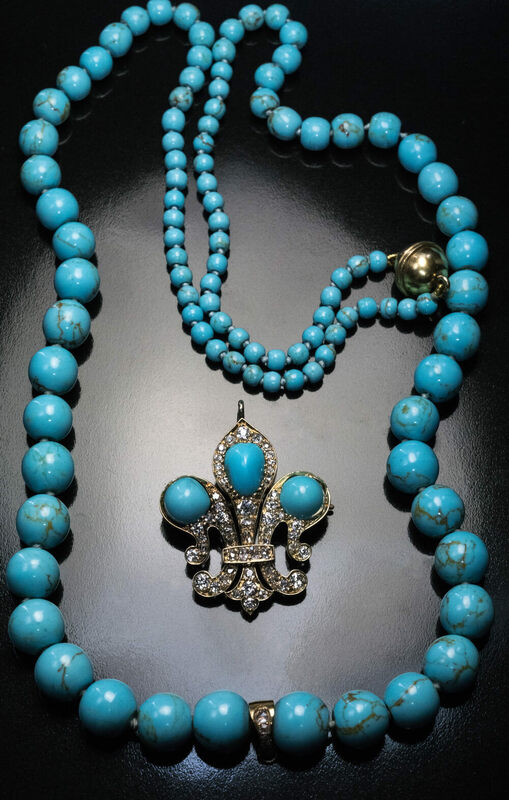 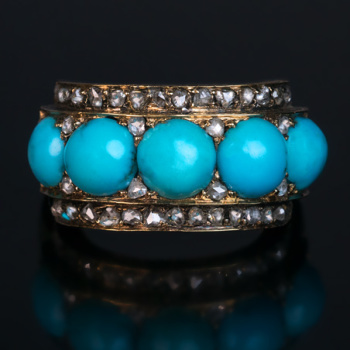 This antique Victorian era turquoise necklace was made in St. Petersburg in the 1880s. 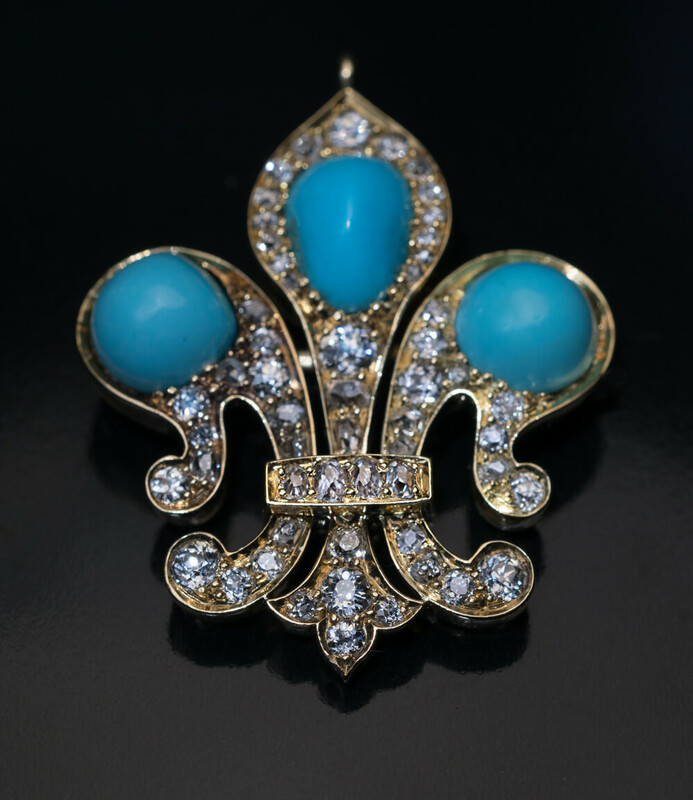 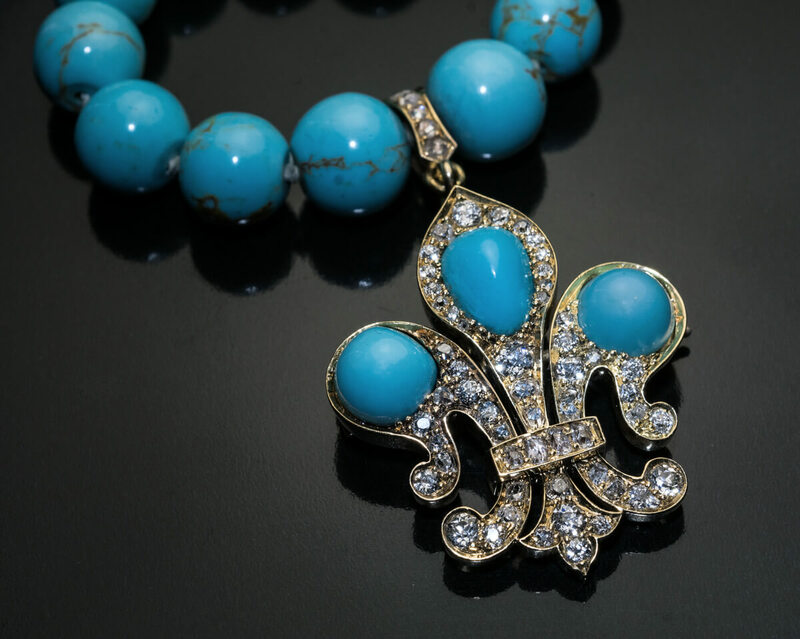 The necklace features a finely crafted 14K gold fleur-de-lis pendant embellished with turquoise and old mine cut diamonds. 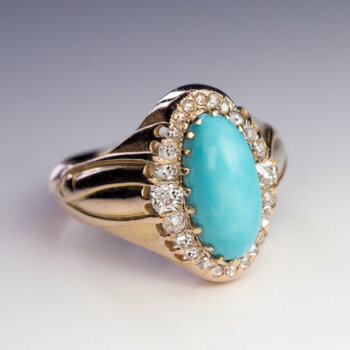 The bail is set with rose cut diamonds. 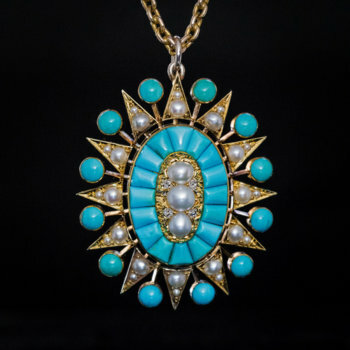 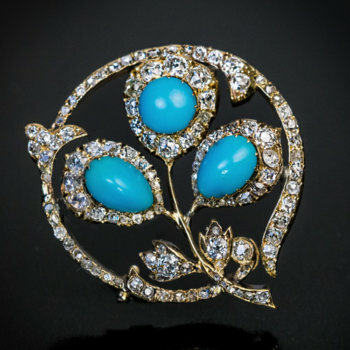 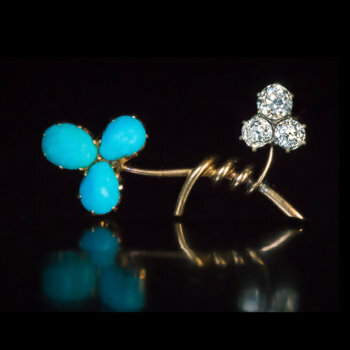 The pendant can also be worn as a brooch. 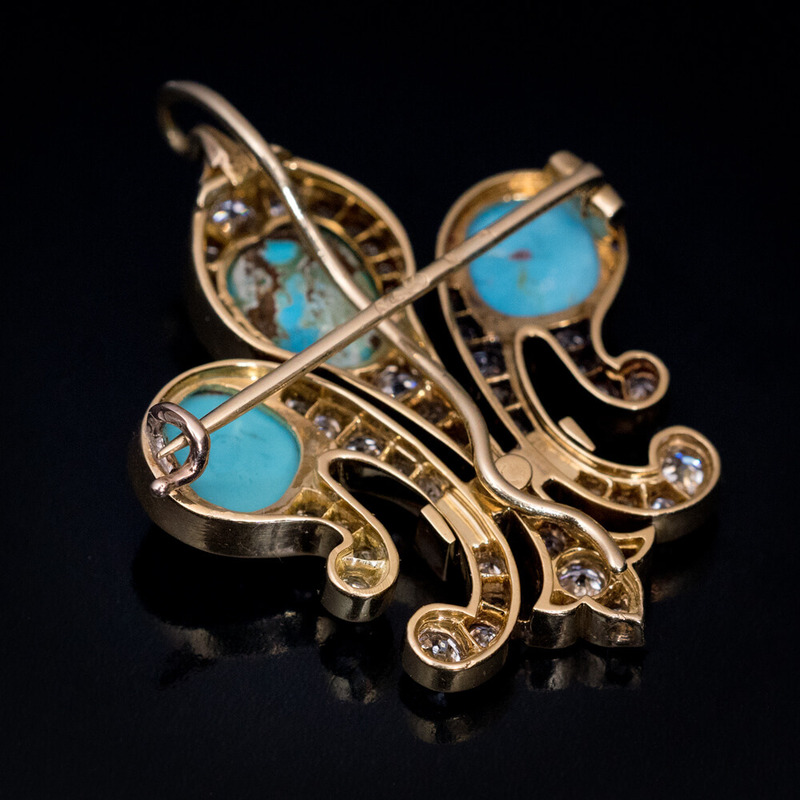 Marked with 56 zolotnik old Russian gold standard, St. Petersburg assay mark and maker’s mark.